It is replaced by the Symbol LS 2108 Hotshot. The QS7000 Handheld Laser Scanner is a high performance addition to PSC's QuickScan product family. Features of this innovative scanner include a bright, two-color LED display, superior depth-of-field, multiple interfaces built into every scanner and the ability to read RSS barcodes. All with the top-quality and reliability you've come to expect from PSC. The QS7000 was designed with the user in mind. A lightweight, ergonomic enclosure and aim-and-shoot design minimizes operator fatigue and boosts productivity. The bright, two-color LED and adjustable beeper give the user instant feedback for optimum efficiency. 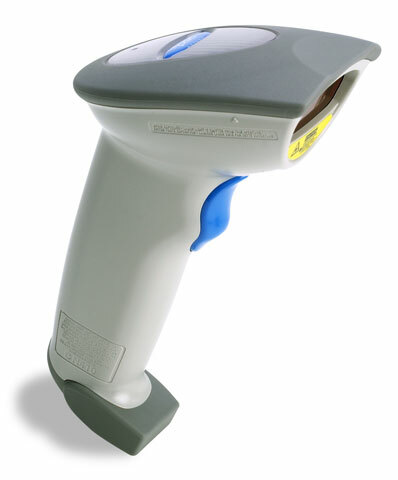 and with the best depth-of-field of any QuickScan handheld, the QS7000 reads codes in many different applications. USB kit. Includes USB cable. Keyboard wedge kit. Includes PS/2 cable. RS-232 kit. Includes RS-232 cable & power supply. Scanner. Order cables separately. See accessories. Undecoded scanner. Order cables separately. See accessories. Requires decoding deviceSee PSC PowerWedge.